We repair dents on vehicles without the need for body filler or paint. We can repair body panels at a fraction of the cost of a body shop. 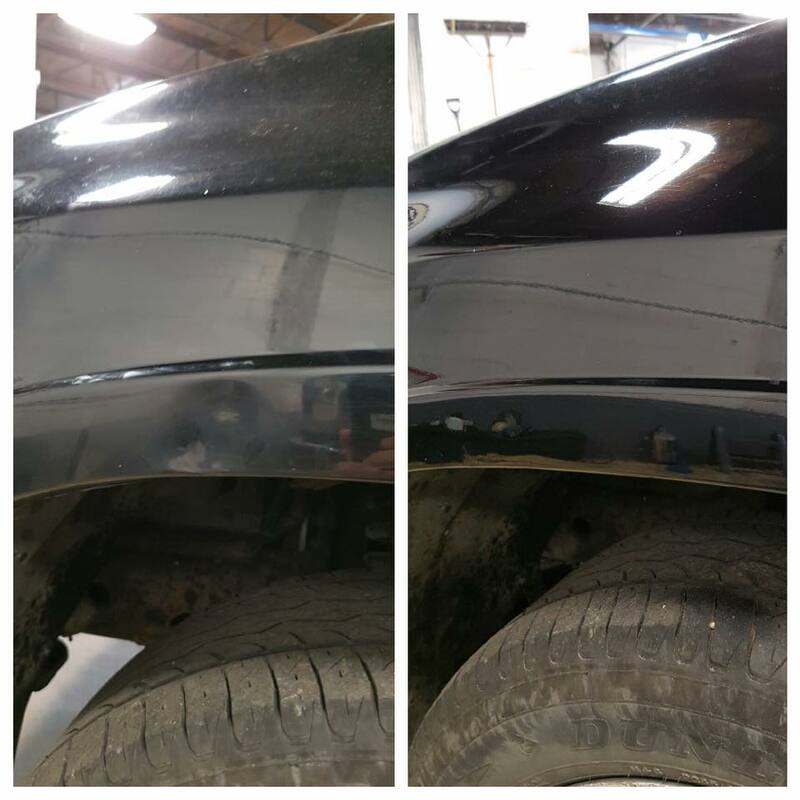 Paintless dent repair and removal is a skilled process of removing dents and dings on vehicle panels and fenders without the need of body filler or paint. The process involves gaining access behind the panel, and gently pushing the dent back to its original shape. Ming Shine has specialized in Paintless Dent Removal since 1992, servicing dealers, body shops, and individuals in Edmonton and Calgary. All repairs are handled quickly and completely without damaging the factory paint or clear-coat. Come down to one of our shops for a free estimate on any dent repair. You can also click here and email us a picture of your dent for a free estimate or call us at 780-425-1235. Ming Shine has specialized in hail damage repair for the last 25 years. We gently massage every individual dent on your vehicle for a flawless finish. Fixing hail damage repair via Paintless Dent Repair (PDR) protects your original finish with no need to go to a body shop. Make the repair process for hail damage easy by bringing your vehicle to Ming Shine. We work with all insurance companies, and can bill them directly. We also offer lifetime warranty on all work.